As a parent, you will be extremely concerned if you suspect that your toddler or teenage kid is battling with ear disorders. As the leading New Jersey pediatric ear disorder treatment clinic, we understand your anxiety and know just how important it is to have access to ear disorder information. Check out the different sections below to find out more. Learn about the different components that make up the ear, including the inner ear, middle ear, and outer ear. You will also get to understand how hearing occurs and how the different parts of the ear have to work together to enable normal hearing. At ENT for Children, we treat a wide variety of ear disorders. In this section, you will be able to learn about the most common ear conditions that are often seen in children. From mastoiditis to perforated eardrum to tinnitus and more, we will explain the different conditions, their symptoms, diagnoses, as well as the appropriate treatments. Do you want to know how to take care of your children’s ears in the best way possible? 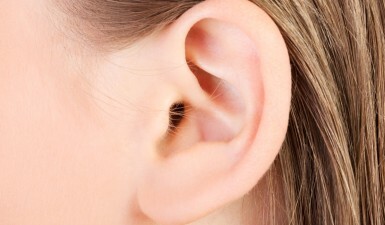 In this section, we talk about earwax and ear care, hearing protection, how the ear works, and also pediatric ear health tips. Because there are different types of ear disorders, we will recommend the most suitable ear disorder treatment procedure to help our young patients tackle their specific ear condition. You can find out some of the common treatments and procedures we undertake here at our clinic. At ENT for Children, we are highly committed to helping you and your children triumph over the challenges that certain ear disorders may pose. Feel free to talk to our care team or request an appointment with Dr. Samadi to find out more about what we can do for you.